Tarsus refers to the set of seven bones that form the human ankle. 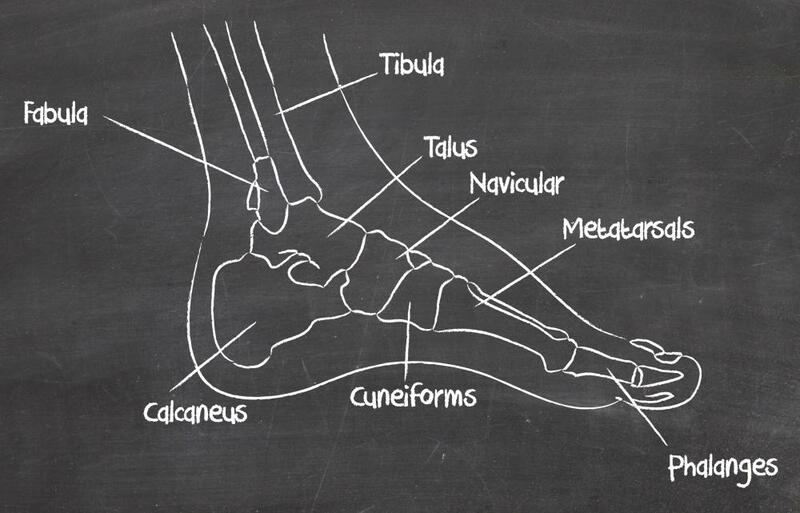 The calcaneous bone, the largest in the tarsus, is commonly referred to as the heel bone. Injury to the tarsal bones may result in foot pain. Sitting atop the calcaneus, the talus, or astragalus, is the second-largest bone to make up the tarsus. "Tarsus" is an anatomical term that refers to the tarsal bones, a group of seven bones that collectively form the human ankle. The terms "tarsus" and "tarsal" are derived from the Greek word tarsos, which means a "flat broad surface" and emphasizes the two feet upon which humans balance to stand and walk upright. Five bone types comprise the tarsus. These different bone types — including the calcaneus, talus and cuboid — contribute to the often-contradictory functions required of the ankle: stability and flexibility. The calcaneus bone is the largest bone that makes up the tarsus. Commonly known as the heel bone, this structure provides the foundation for human upright posture and ambulation. The calcaneus also anchors the Achilles tendon, which allows the calf muscle to move and work properly. The talus, or astragalus, is the second-largest bone to make up the tarsus. It sits atop the calcaneus and just below the knot on the outer side of the foot that is typically thought of as the ankle bone. The talus is a buffer bone. It rides on the heel and connects to the tibia and fibula, the two bones of the lower leg. The talus allows the foot to move up and down and from side to side in order to maintain balance. The cuboid is the third bone of the tarsus bone collection. Approximately cubical in shape, it is found in front of the calcaneus and just below the talus' ankle knob. The centrally located cuboid is involved in many joints in the foot, such as the tarsometatarsal and calcaneocuboid joints. 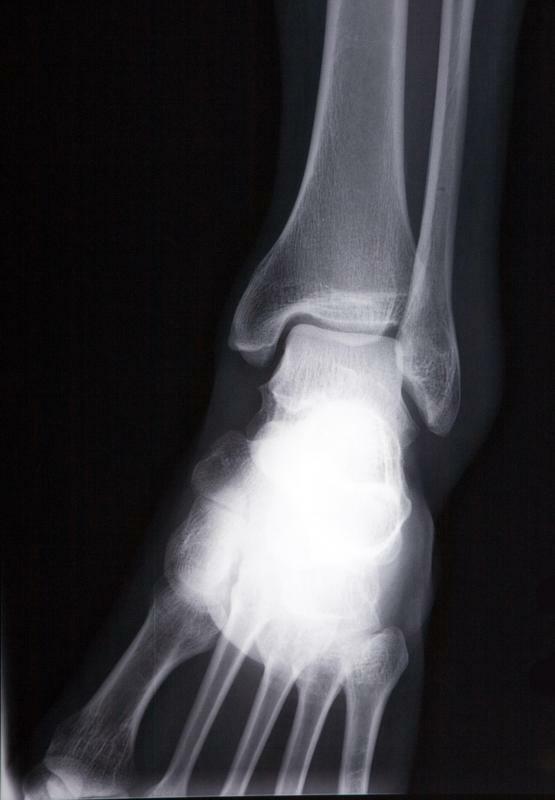 This bone is particularly important to the lateral stability of the foot. When difficulties arise where it articulates with other tarsal bones, cuboid syndrome might be diagnosed. The fourth bone of the tarsus is the navicular bone. It is found in front of the calcaneus and on the medial, or inner, edge of the cuboid. Said to resemble a boat because of its shape, the small navicular bone touches five other tarsal bones. It helps form the arches of the foot. Lastly, there are three cuneiform bones — the lateral, the intermediate and the medial — that complete the skeletal structures that make up the tarsus. These three bones sit in front of the navicular bone toward the inner, or medial, side of the foot. They are bounded on the lateral side of the foot by the cuboid bone. The cuneiform bones provide structural stability for the first three toes. What Is the Fifth Metatarsal Bone? What are Common Causes of Ankle Joint Pain?